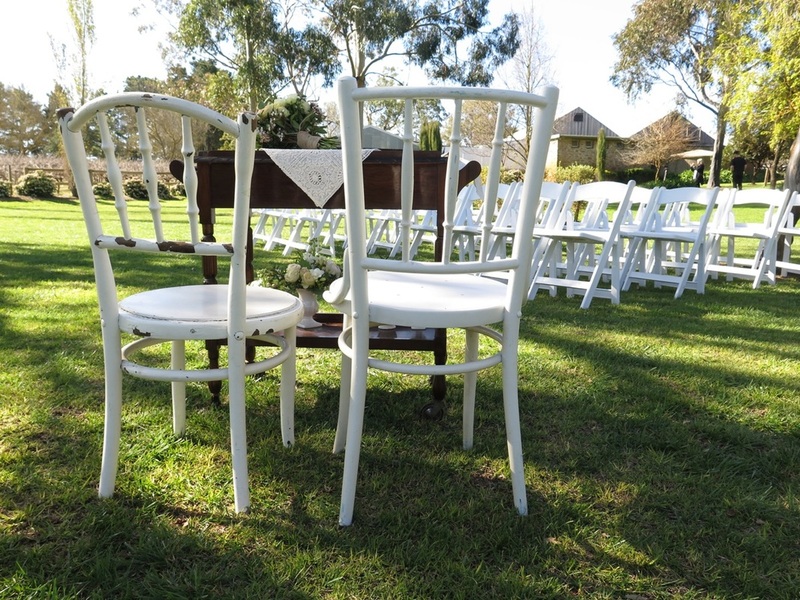 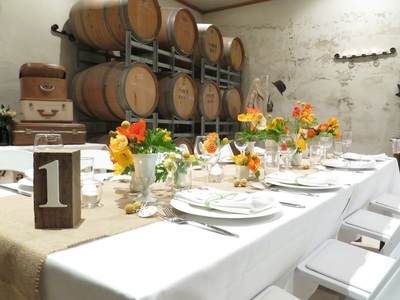 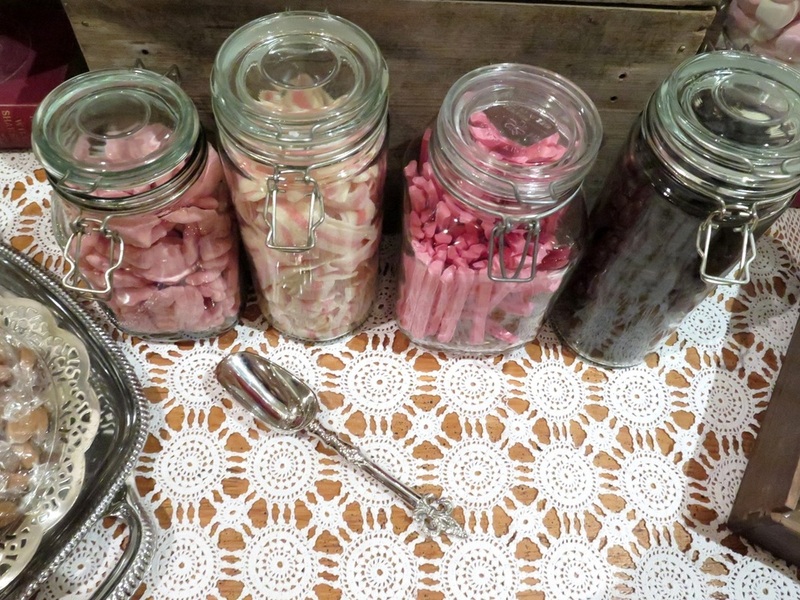 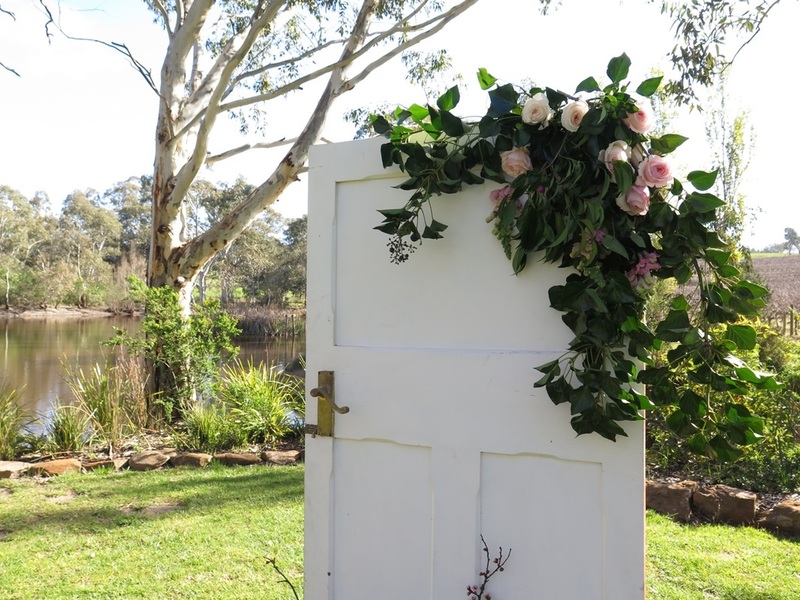 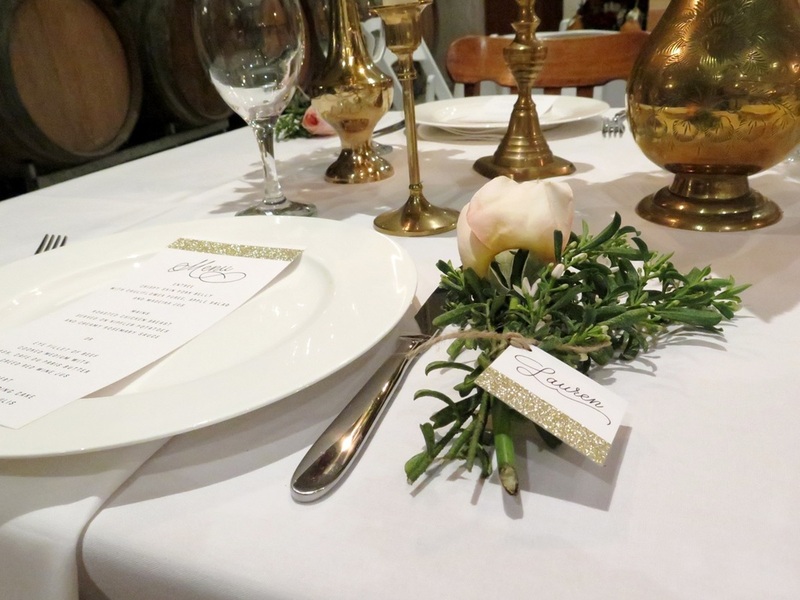 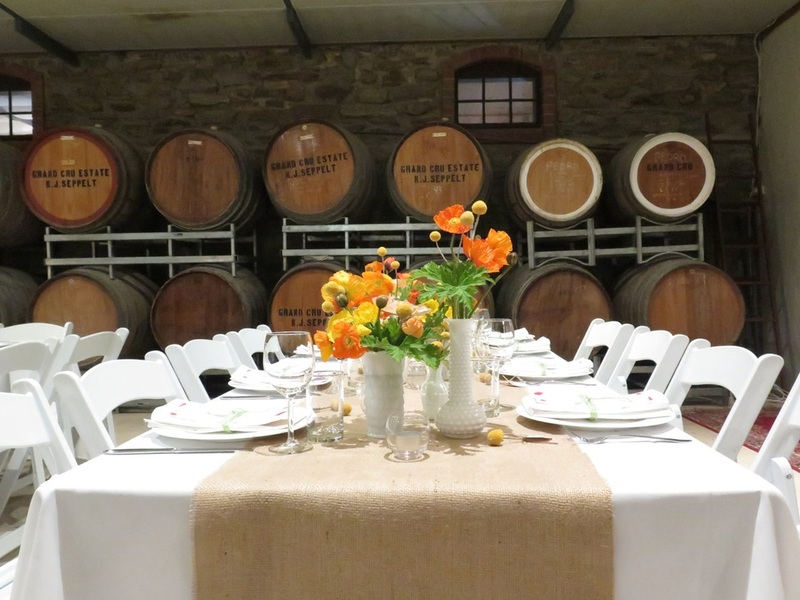 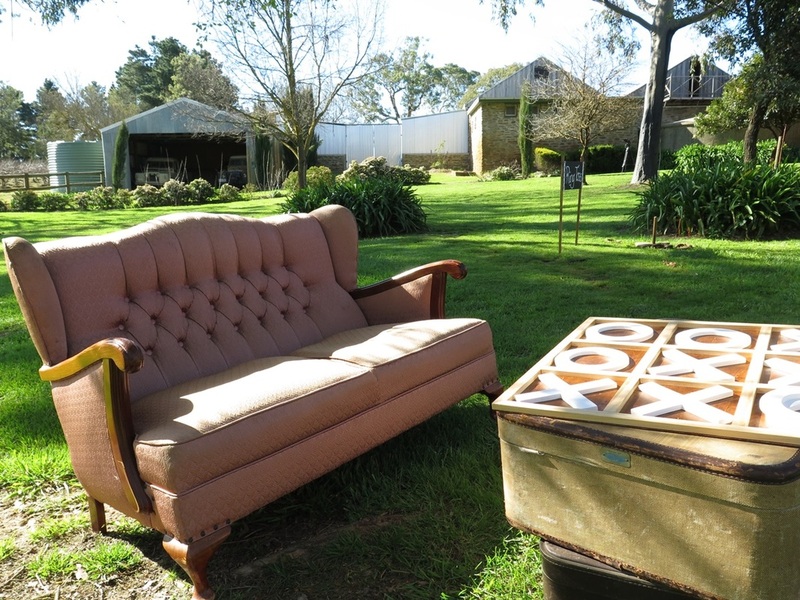 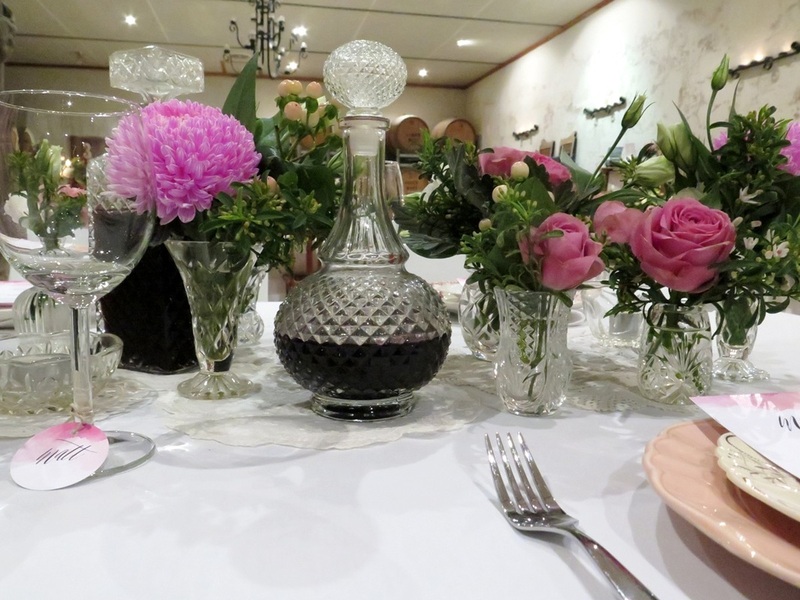 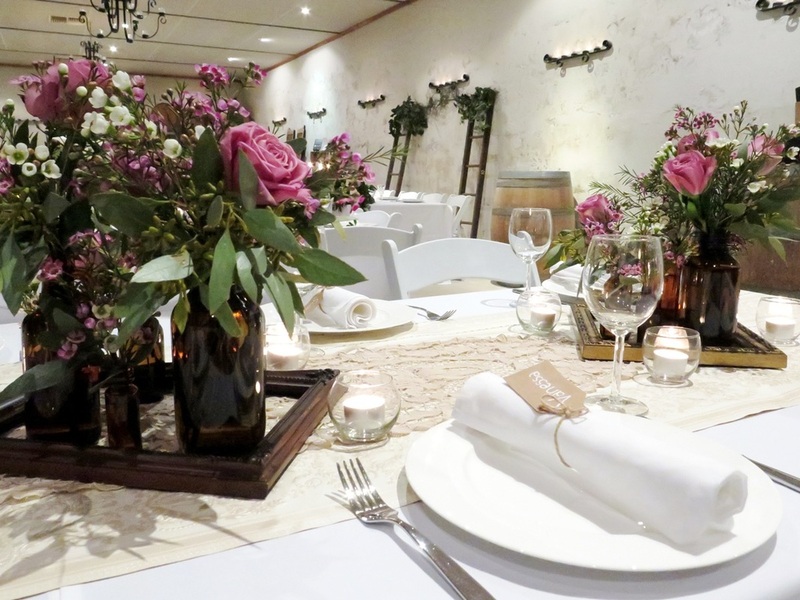 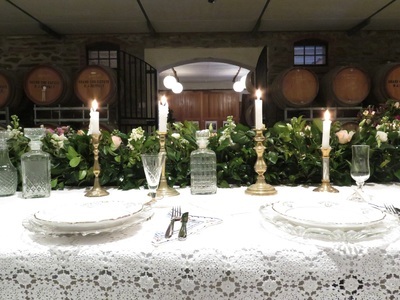 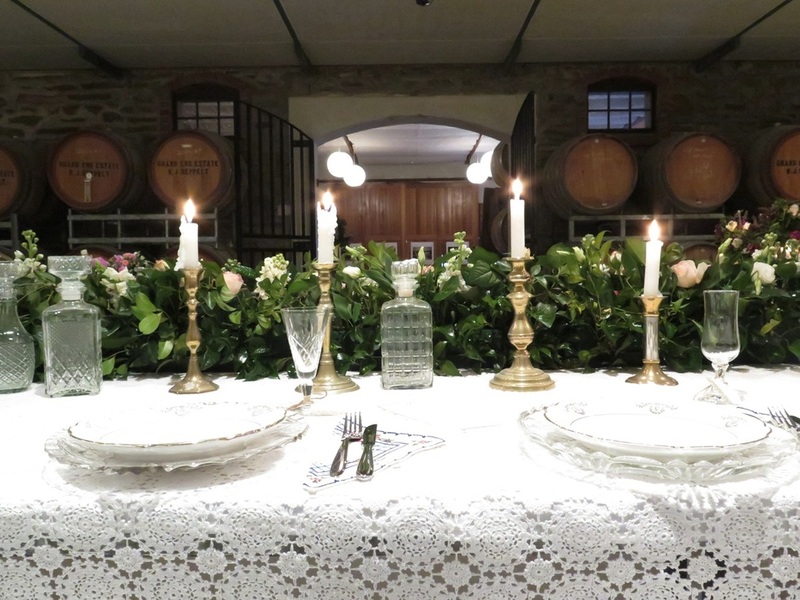 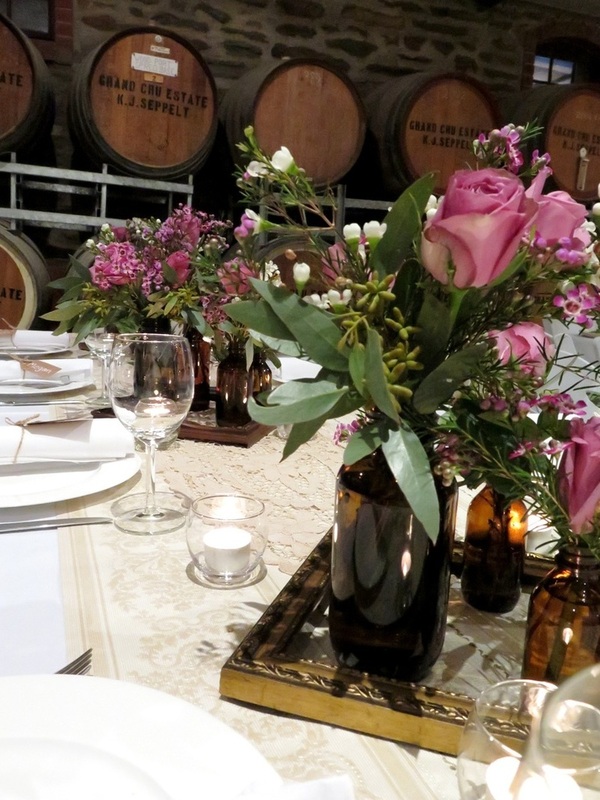 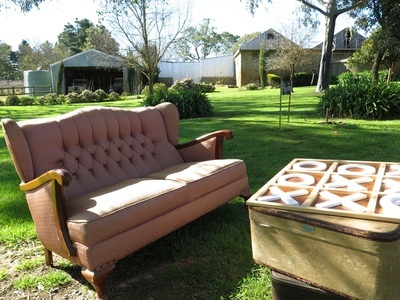 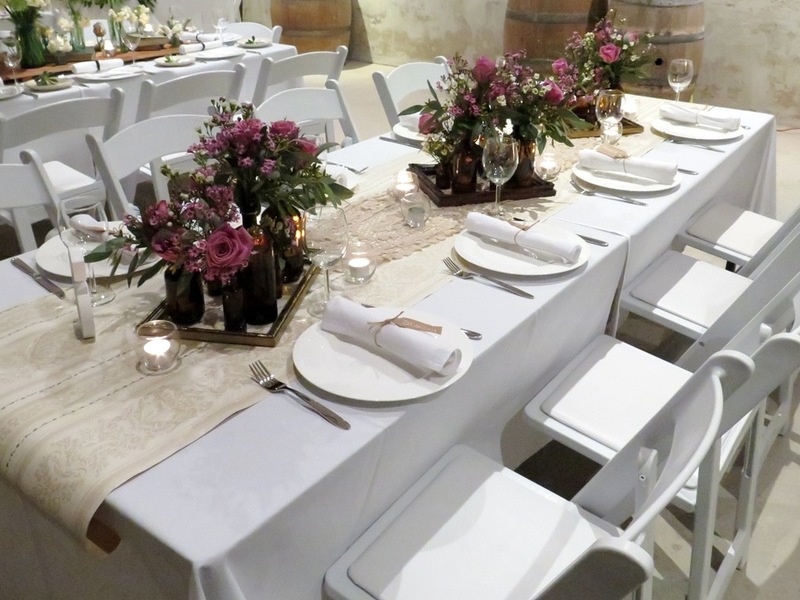 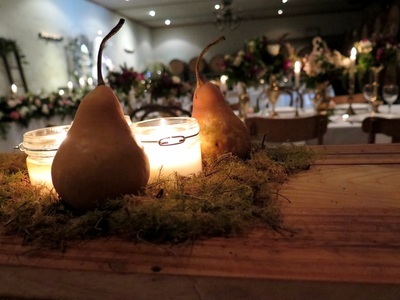 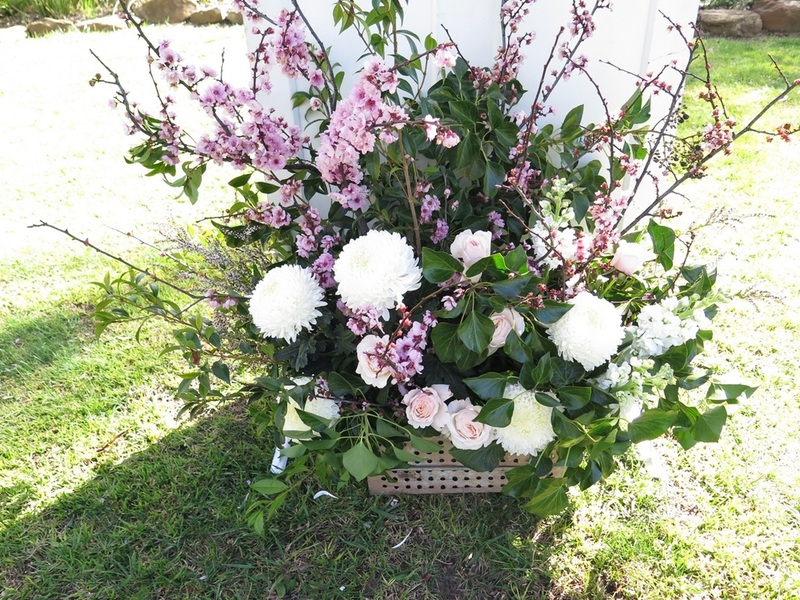 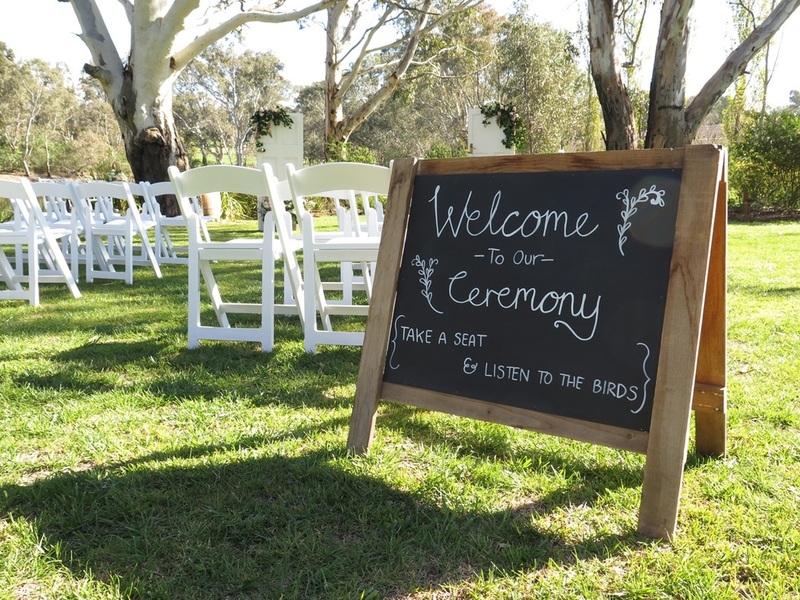 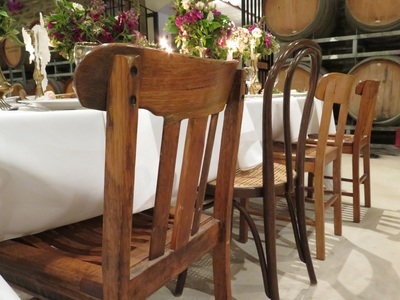 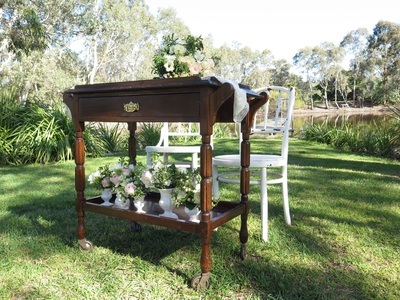 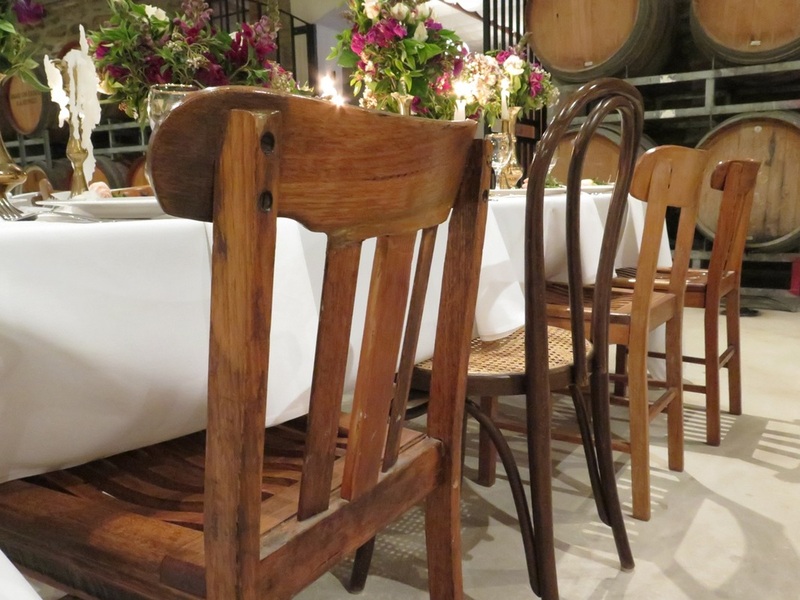 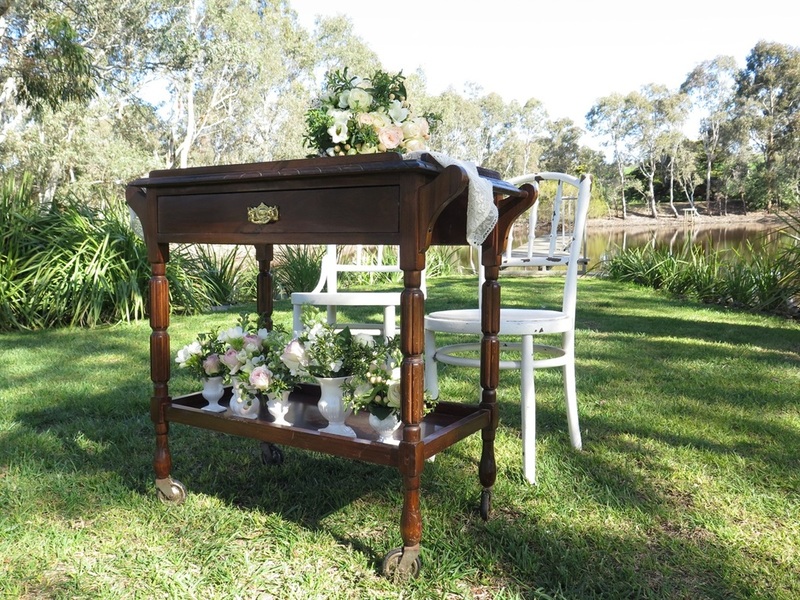 We were so excited to be part of Grand Cru Estate's first ever Wedding Open Day! 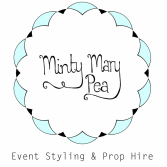 This is the most stunning setting you'll come across tucked away in Eden Valley, it is such a hidden gem. 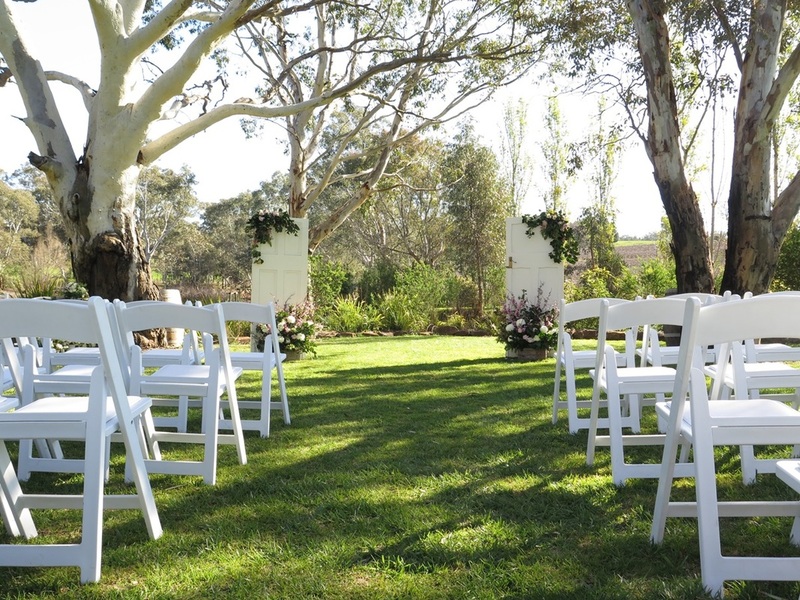 Offering full-exclusivity of the whole Estate for your wedding day, this place is just magical. 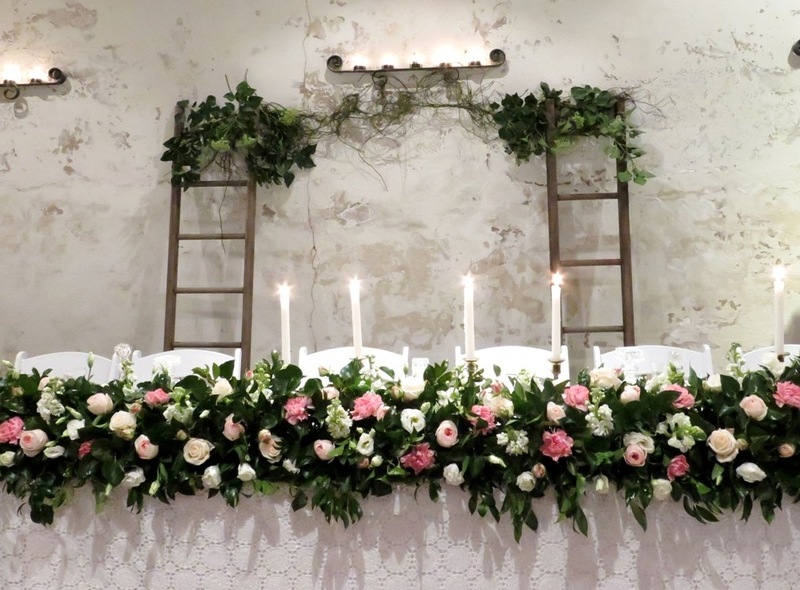 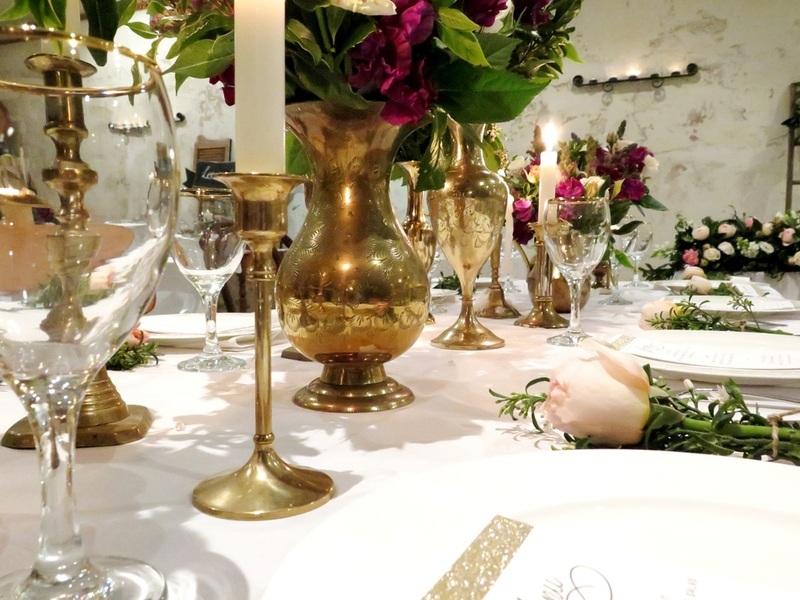 We had the absolute pleasure of collaborating with the gorgeous Maggie from Miss Maggie's Flowers to provide visiting brides with styling inspiration for their ceremony and reception at the stunning Grand Cru Estate. 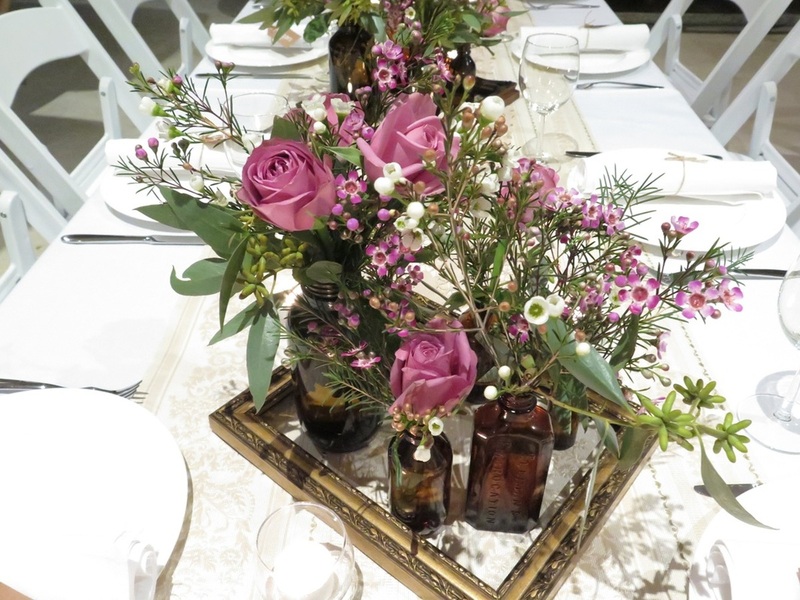 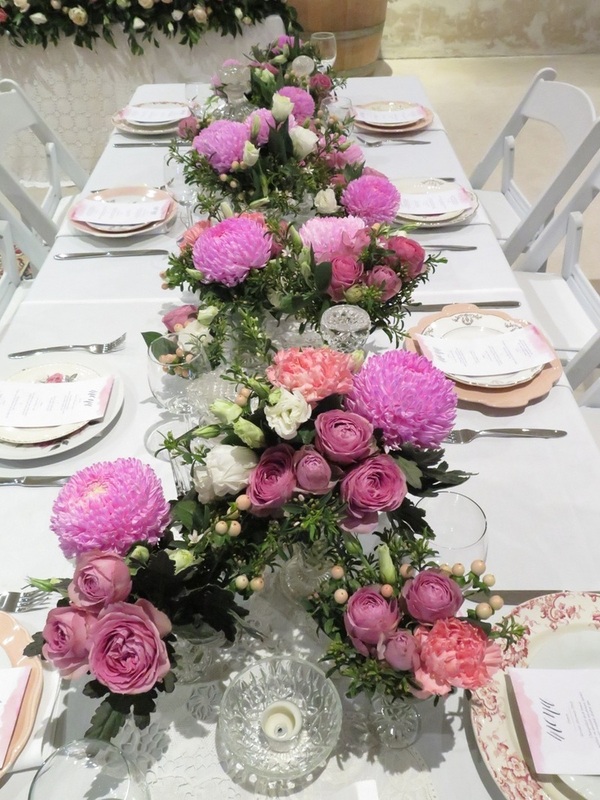 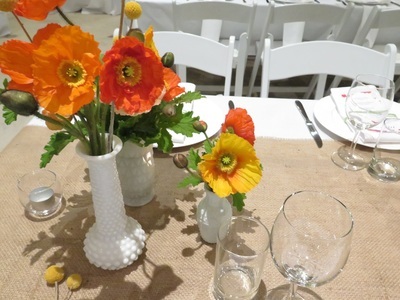 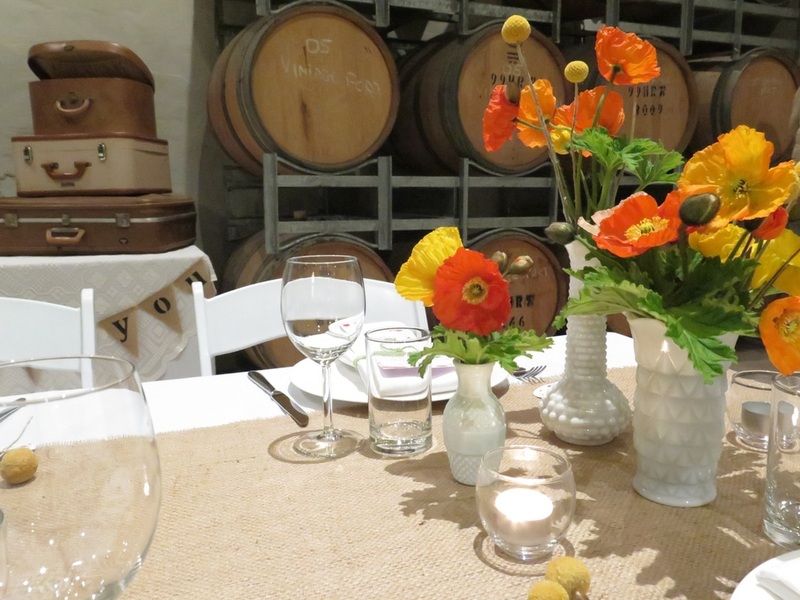 We put together six different styled tables so there was definitely something for everyone! 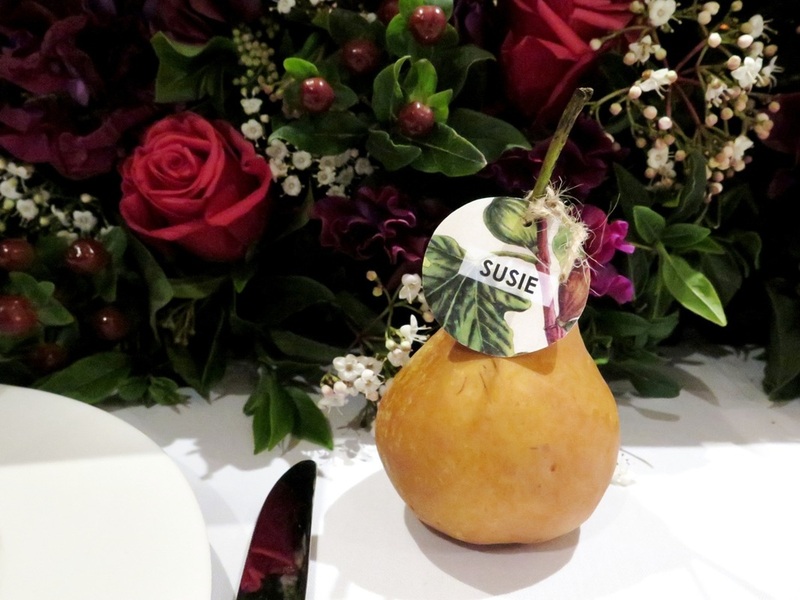 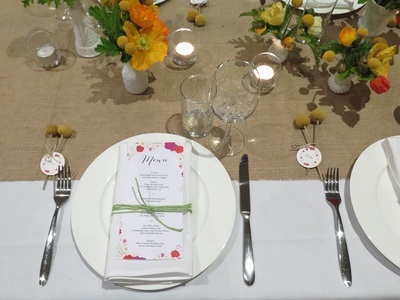 The lovely Lauren from Sail and Swan provided the beautiful table stationery. TABLE 1 was simple with our rustic wood block table numbers, hessian, milk glass, poppies and billy button details with bright floral stationery by Sail and Swan. 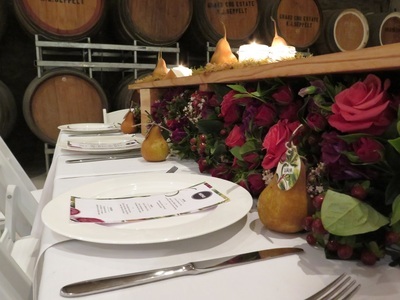 TABLE 2 featured our new timber table runner, gorgeous deep florals by Miss Maggie's Flowers, pear place settings, fruity fig stationery by Sail and Swan, and lemon myrtle candles handmade by Roz! 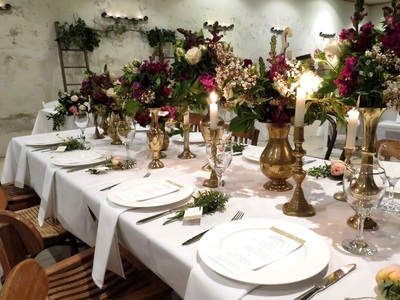 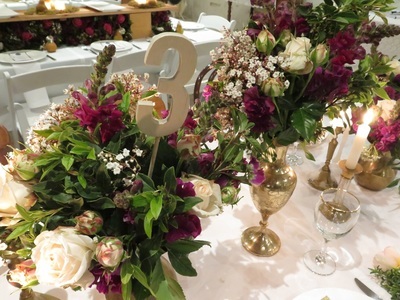 TABLE 3 shimmered with a collection of mismatched brassware, gold detailing, lush blooms and mismatched vintage chairs. 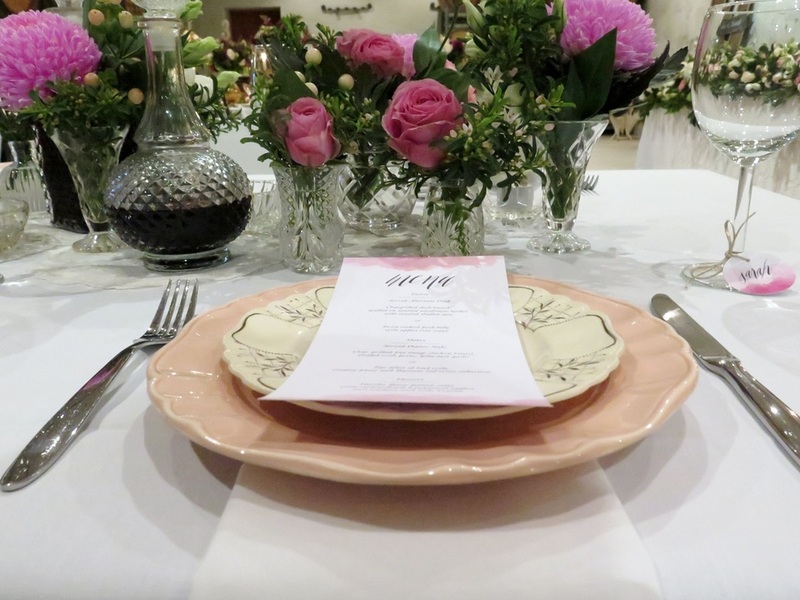 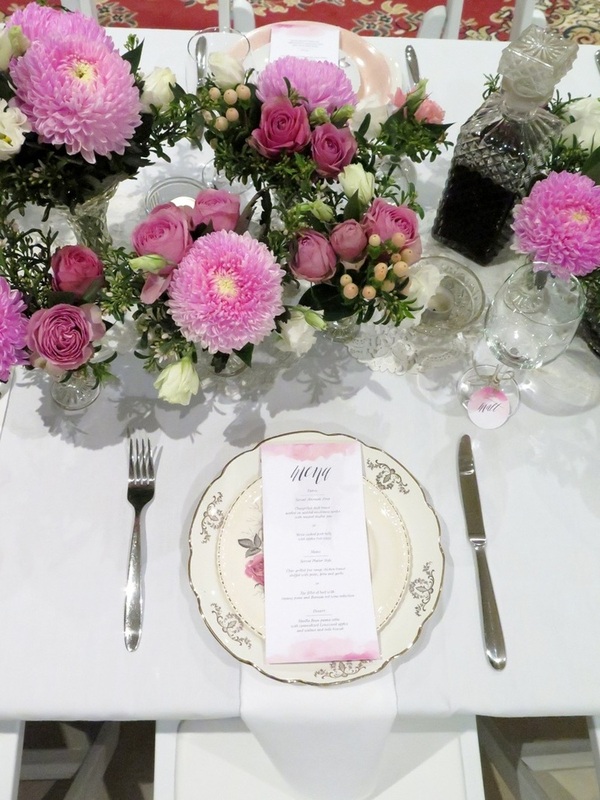 TABLE 4 was pretty in pink, complimenting our bridal table with mismatched vintage crockery, vintage glass vases, decanters, and tealight holders, beautiful pink watercolour stationery, and lush pink blooms. 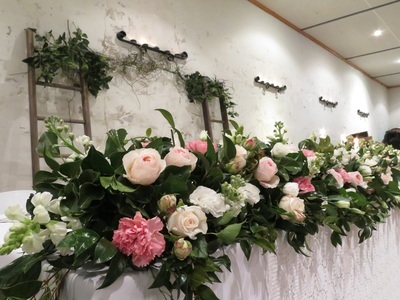 We framed the bride and groom with a ladder backdrop draped in foliage. 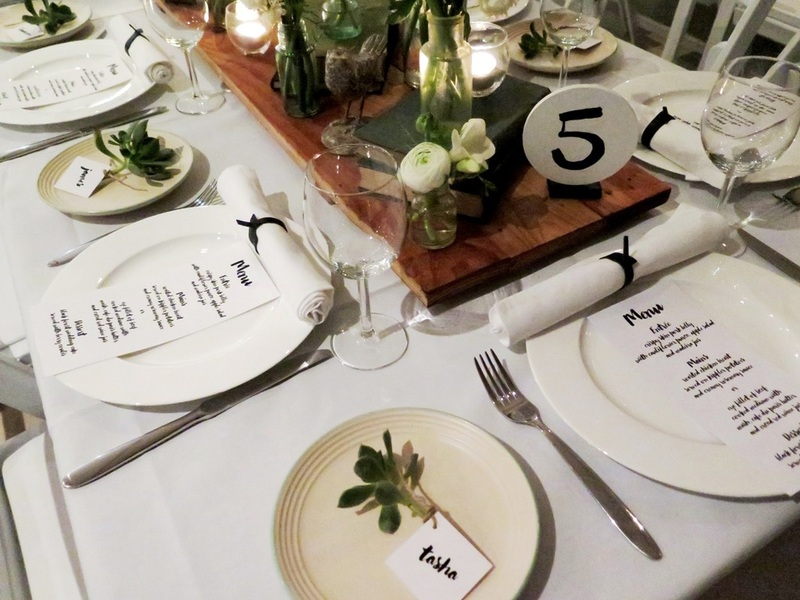 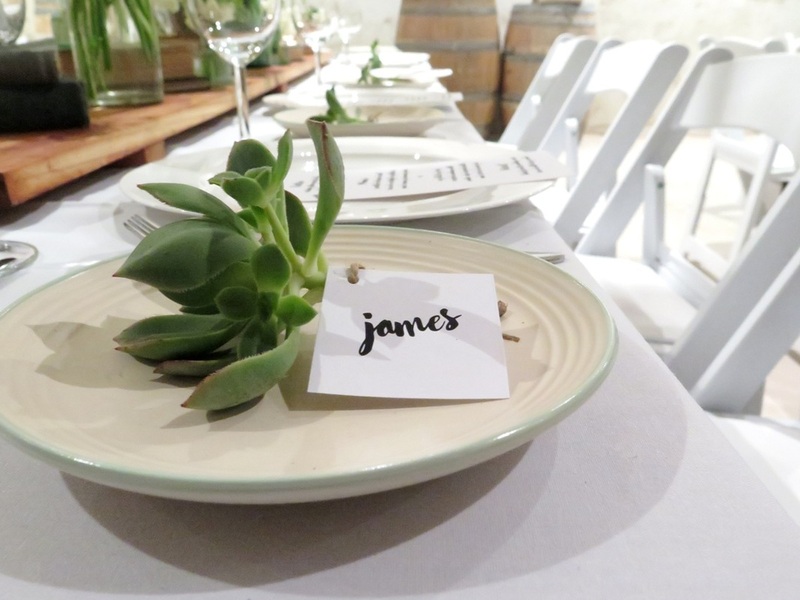 ​TABLE 5 featured a flat laid timber table runner with vintage books, whimsical birds, succulent place cards, green and white blooms, black leather napkin rings, and bold black stationery. 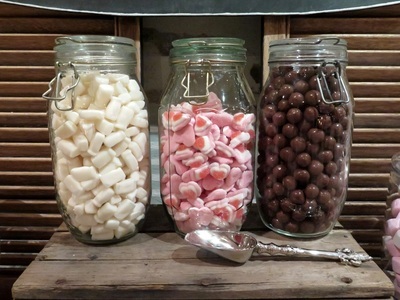 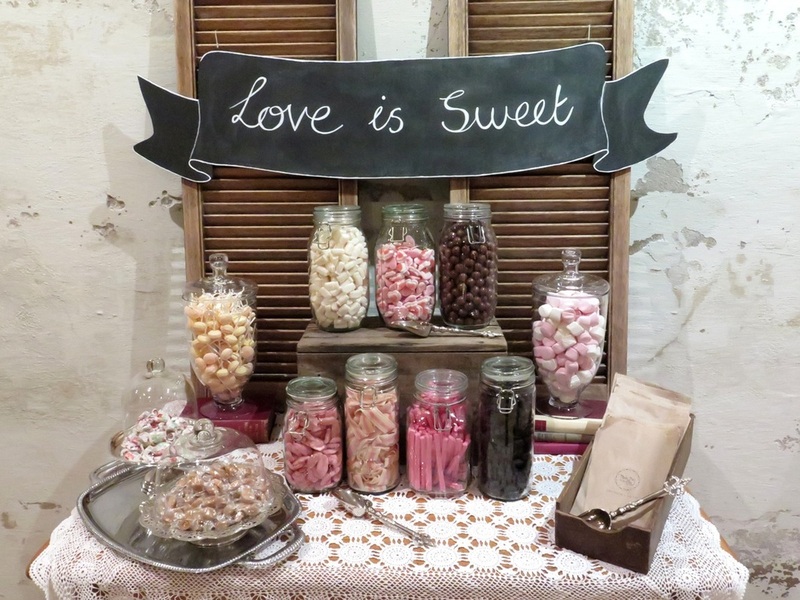 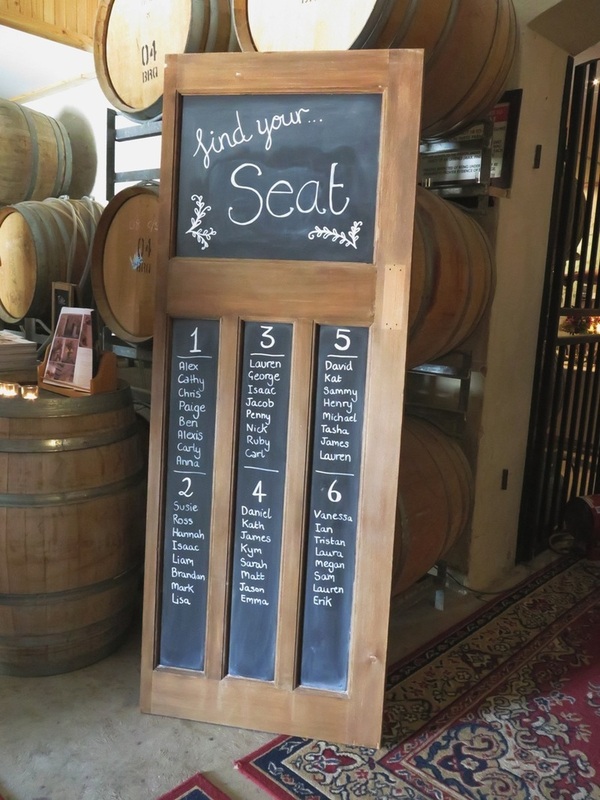 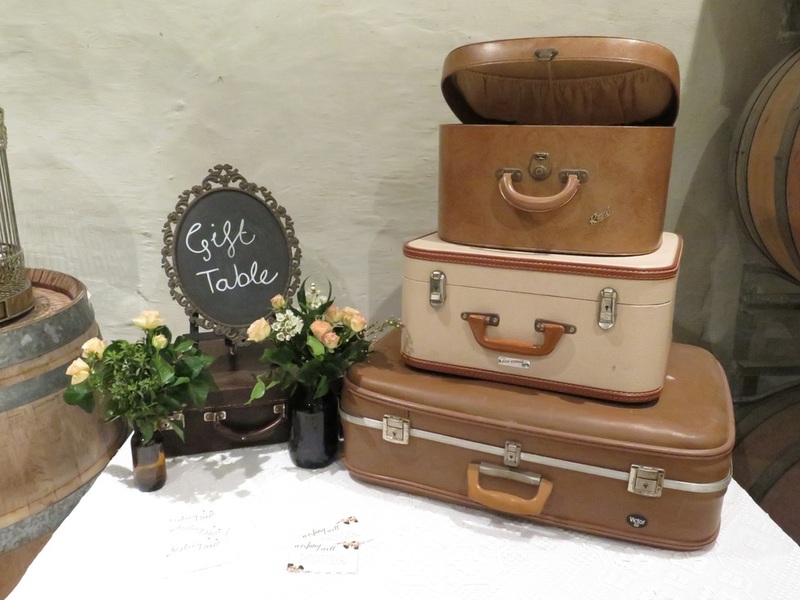 I added some other fun ideas such as our chalkboard door seating chart, suitcase stack gift table, and a little lolly bar with timber shutters, chalk banner signage and vintage glassware. 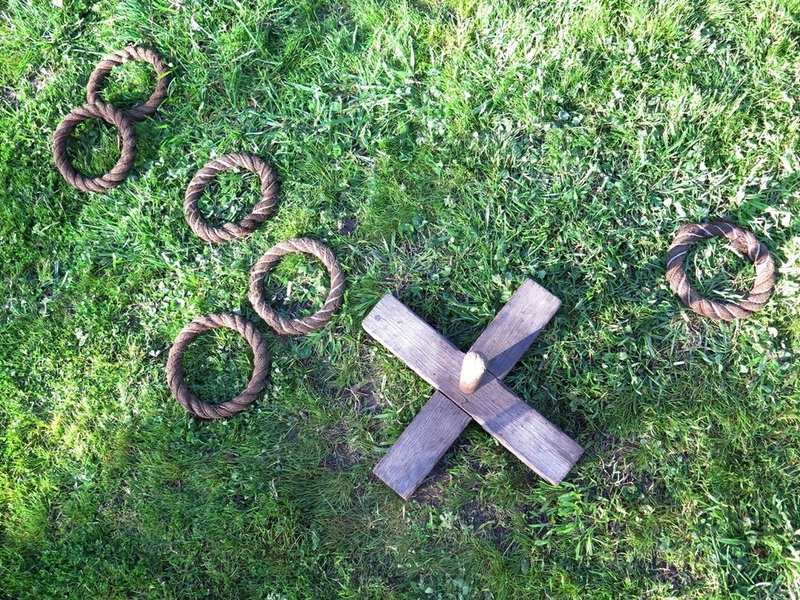 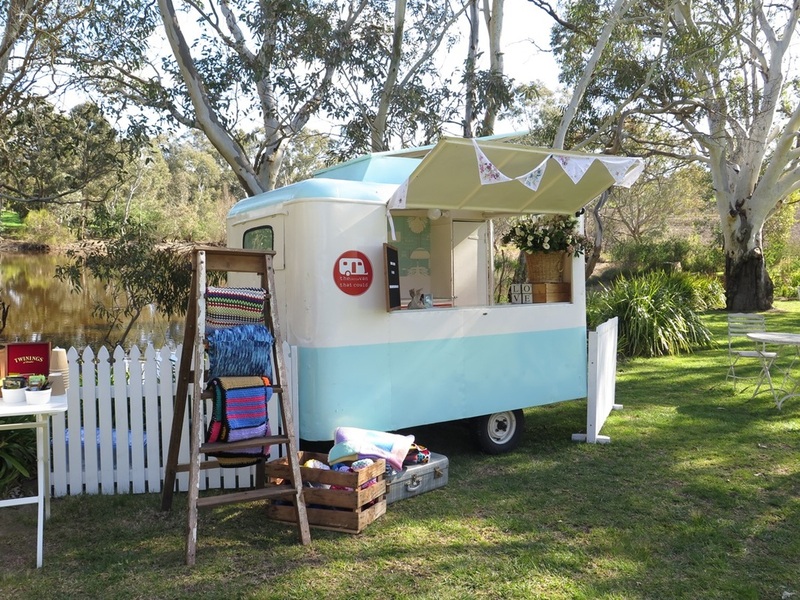 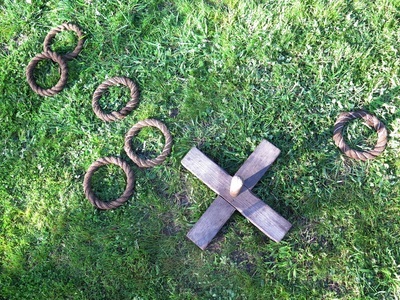 Outside we set-up a collection of lawn games by the cutest 'Little Van that Could'. 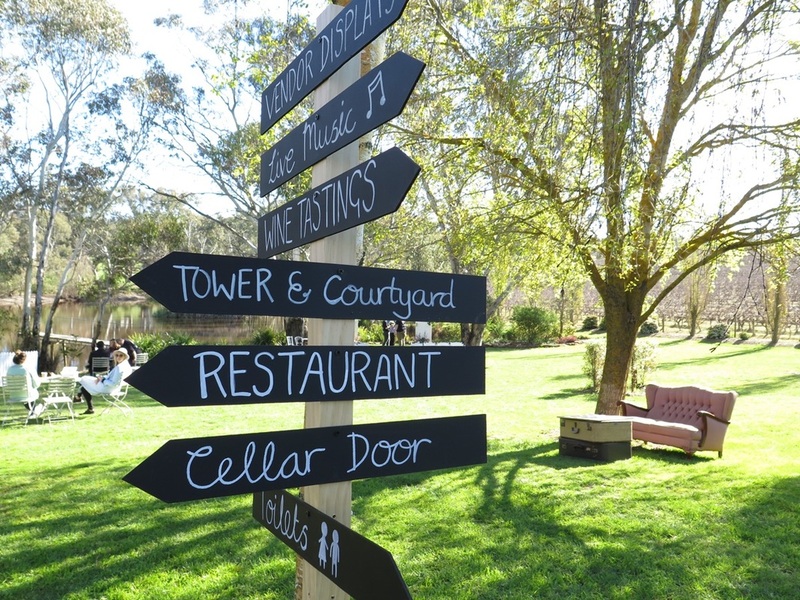 We also debuted our directional sign posts, and put together a vintage photo booth set-up with Chris from Classic Booths - our Scarlett lounge suite sat perfectly with their vintage style photo booth!